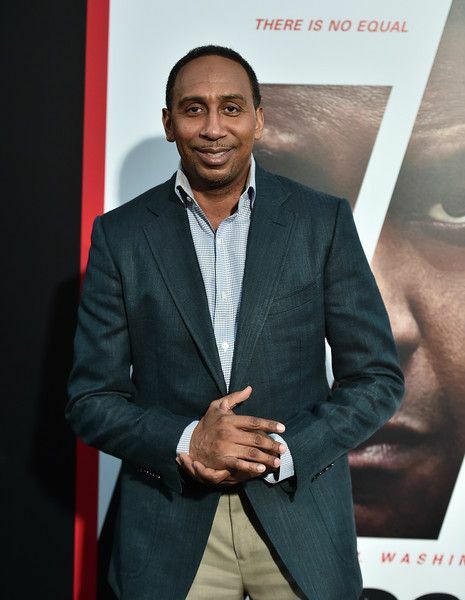 Love him or hate him - Stephen A. Smith will be unbothered as ever on his way to the bank! The reason? He's set to receive a MAJOR raise from ESPN, if the rumors are true. According to folks with knowledge of the upcoming negotiations, Stephen A. Smith is "in line" to become the highest-paid on-air person at ESPN. His salary will reportedly be boosted up to $10 million/year. Give or take. The sitew reported between $8-$10million. Still the most anyone is being paid at the network. We guess his viral rants have paid off. The "First Take" personality and syndicated talk show host is literally about to make double his pay as his current contract is worth around $5 million/year. His current deal with ESPN is set to expire in 2021. He has been with the network since 2005. "Get Up!" host Mike Greenberg makes $6.5 million/year, which is the network's highest publicly known salary. "Pardon the Interruption" hosts Michael Wilbon and Tony Kornheiser are believed to earn salaries, "in Greenberg's neighborhood." This negotiation news comes on the heels of Gayle King renegotiating her contract with CBS News. She's looking to nab a multi-million deal with the network. We're here for black folks who are the main reasons networks are getting these ratings, getting all their coinage. Y'all gonna pay up in 2019! NEXT: Russell Wilson Wants ALL His Coin, Demands New Contract + Lonzo Ball SUES BBB Co-Founder Who Allegedly Stole Millions!